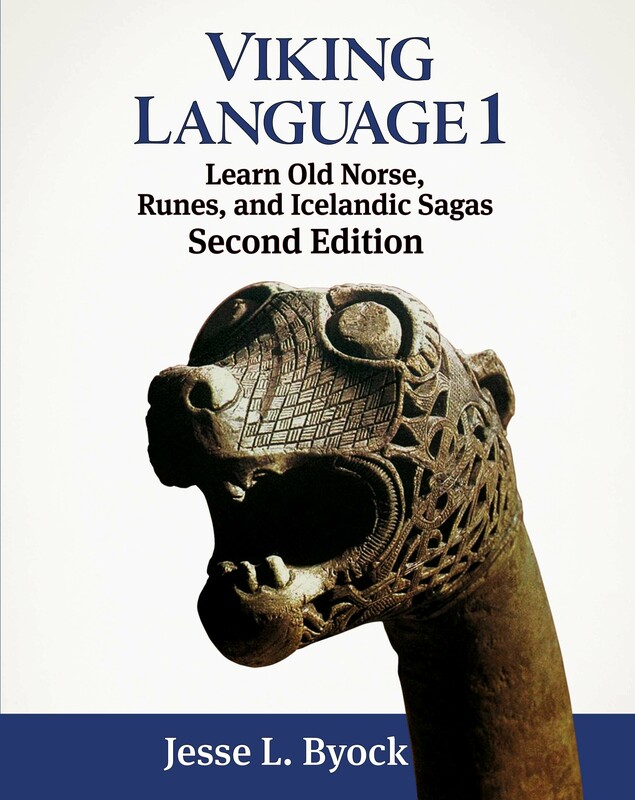 The Viking Language Series teaches Old Norse, the language spoken by Vikings and Icelanders, runes, sagas, eddic, skaldic poetry, and history of the Viking World. It focuses on the most frequent words in the sagas, taking you to the heart of Icelandic literature, Viking runestones, heroic legends, Old Norse mythology, and early medieval history of Scandinavia. Created by Jesse Byock, Professor of Old Norse, Medieval Scandinavian Studies and Viking Archaeology at University of California, Los Angeles (UCLA) and Háskóli Íslands, Reykjavík. Journey through Viking Age Denmark, Iceland, Greenland, Norway, Sweden, Britain, Russia, and Byzantium with original Old Norse readings of Vikings, Norse mythology, gods, heroes, sacral kingship, blood feuds, and daily life. 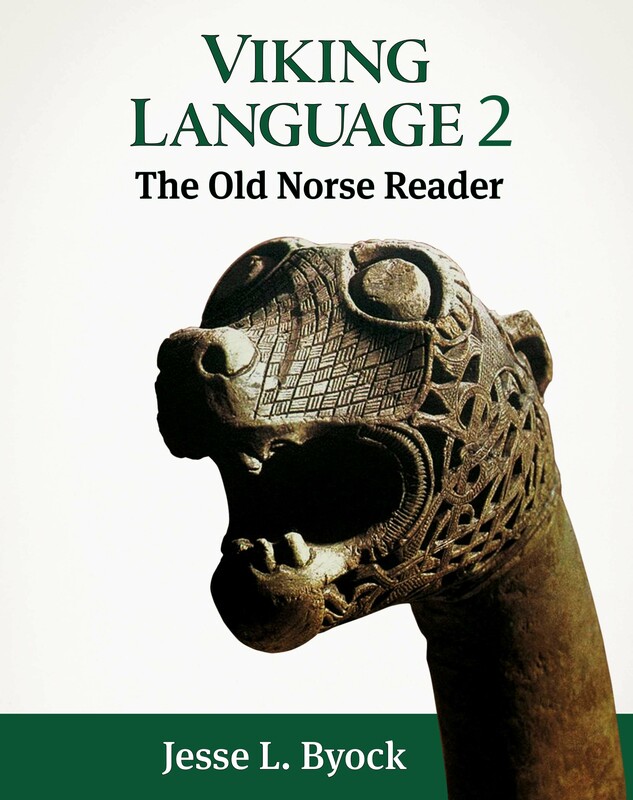 Viking Language 2: The Old Norse Reader immerses the learner in Icelandic and Viking Age sources, including a wide selection of original texts about the Scandinavian gods and beliefs. It provides the tools necessary to read complete sagas and Norse mythic and heroic poetry. This reader provides a wide collection of unabridged original texts to accompany Viking Language 1. It includes Norse family, kings and legendary sagas, as well as runic verse and eddic and skaldic poetry. The selections range from the Doom of the Gods at the final battle Ragnarok to descriptions of the ring of power, the gold of the dwarves, and the long winter that inspired Wagner’s Ring Cycle, J.R.R. Tolkien’s Lord of the Rings, and Game of Thrones. The Old Norse Reader is a stand-alone work-book for classes and the self-learner. It takes the student directly into the Viking World with introductions, history, notes, maps, and cultural discussions. The Old Norse Reader is an indispensible source to learning about Vikings, Iceland, and the Old Scandinavian world with a comprehensive Old Norse Reference Grammar and an extensive Vocabulary. Viking Language 1, Audio Lessons 1-8 is an MP-3 download album on 24 tracks that teaches pronunciation of the Old Norse reading passages and runic inscriptions in the Viking Language 1 textbook, Lessons 1-8. These carefully designed audio pronunciation exercises are a vital resource for quickly learning Old Norse. These audio passages take you into a world of Viking seafaring, battles, Norse myth, Iceland, and old Scandinavia. The passages, are coordinated with the grammar lessons. They are an indispensable component for learning and reinforcing vocabulary, comprehension, and the flow of Old Norse. Sentences in the audio are divided into phrases that the learner pauses and repeats at will. You choose, you can go fast or slowly. The audio lessons are calibrated to Old Norse spelling and follow modern Icelandic usage. They are spoken by native Icelander Ása Bjarnadóttir with introductions and instructions by Jesse Byock. Click here and listen to free samples of the audio lessons! Viking Language 1, Audio Lessons 9-15 is an MP-3 download album on 28 tracks teaching pronunciation of the Old Norse reading passages and runic inscriptions in the Viking Language 1 textbook, Lessons 9-15. Recounting tales of Vikings, Iceland, and the mythology of old Scandinavia, these pronunciation lessons are an indispensable resource for learning vocabulary, comprehension, and the flow of Old Norse. Sentences in this second audio album for lessons 9-15 are divided into phrases that the learner pauses and repeats at will. You can go fast or slowly. The audio lessons are calibrated to Old Norse spelling and follow modern Icelandic usage. They passages are presented by native Icelander Ása Bjarnadóttir, with introductions and instructions by Jesse Byock. Click here and listen to free samples of the audio lessons! Altnordisch 1: Die Sprache der Wikinger, Runen und isländischen Sagas gliedert sich in fünfzehn inhaltlich aufeinander aufbauende Lektionen bestehend aus altnordischen Textpassagen, Runen, Mythologie, Karten, und Grammatikbaukästen (mit gratis Online Lösungsschlüssel: PDF herunterladen). Altnordisch 1 enthält ein vollständiges Wörterverzeichnis, eine Kurzgrammatik sowie Hinweise zur (rekonstruierten - Isländisch) Aussprache. Jesse Byock is Distinguished Research Professor of Old Norse and Medieval Scandinavian Studies in the Scandinavian Section at the University of California, Los Angeles (UCLA). He received his Ph.D. from Harvard University. An archaeologist and specialist in the language and history of the Viking Age, he is Professor at UCLA’s Cotsen Institute of Archaeology. 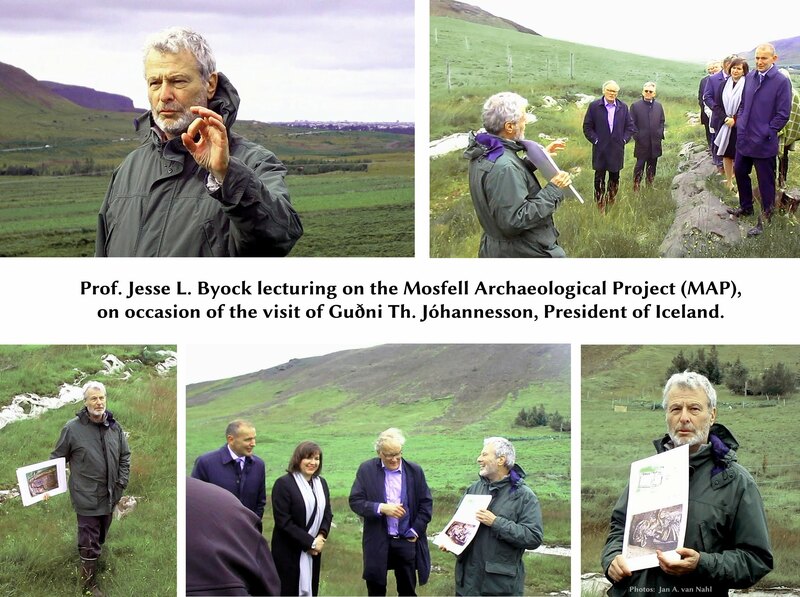 In Iceland, Prof. Byock is the head archaeologist of the Mosfell Archaeological Project (MAP), excavating a Viking Age valley, including a chieftain’s hall, burial sites, and an ancient harbor. He is also affiliated Professor at the University of Iceland (Háskóli Íslands) in the Department of History and the Programs in Medieval Icelandic and Viking Studies. Jesse Byock is author or translator ofViking Age Iceland (Penguin), Grettir’s Saga (Oxford), The Saga of the Volsungs (Penguin), The Prose Edda (Penguin), Feud in the Icelandic Saga(University of California Press), The Saga of King Hrolf Kraki (Penguin), Islande des Vikings (Aubier Flammarion) and The Viking Language Series (Jules Williams Press). The series includes Altnordisch 1: Die Sprache de Wikinger, Runen, und isländischen Sagas (found on Amazon.de).